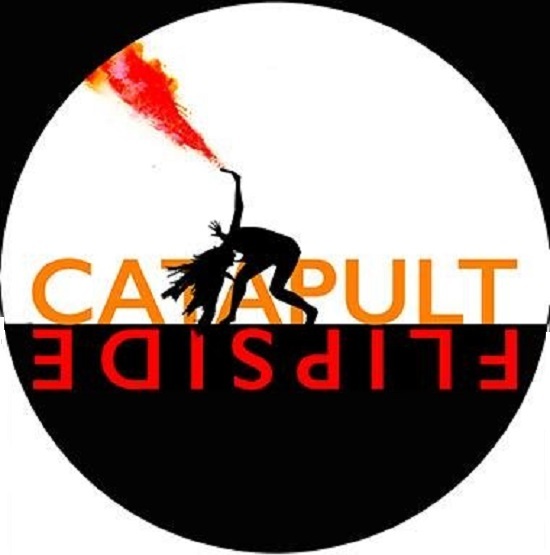 Catapult Dance is a not-for-profit dance organization based in Newcastle, NSW, founded by Cadi McCarthy, award winning dancer and choreographer. Catapult aims to strengthen the contemporary dance scene in Newcastle and the Hunter region by providing a learning gateway for young students, and by creating opportunities for emerging artists to work with some of Australia’s leading professionals in contemporary dance, and also provide opportunities for interdisciplinary collaboration with local artists. Catapult has provided opportunities for young dancers in its Flipside Project, which provides multiple intensives and workshops throughout the year, culminating with a full-length work being created and performed. 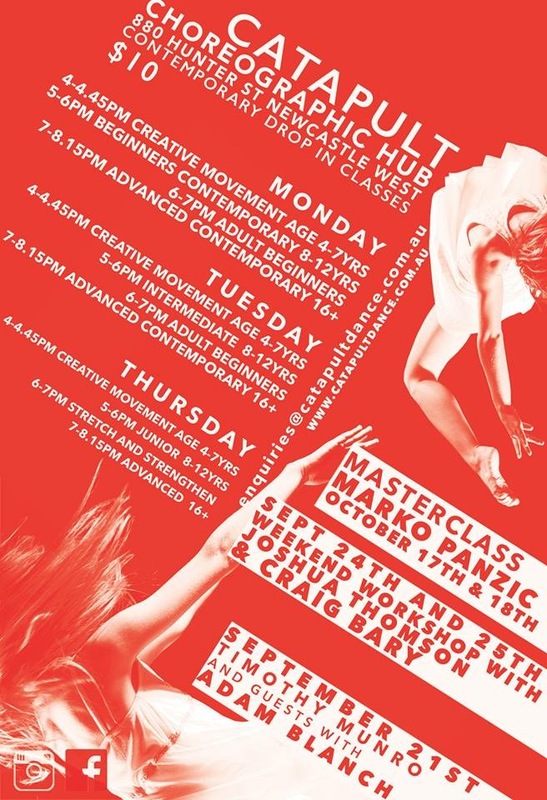 Upcoming master classes include one by Marko Panzic, Dream Dance Co and SYTYCD choreographer, on the 17th & 18th October. At a professional level Catapult has brought some of Australia’s leading contemporary dance artists to the Hunter for its Choreographic Residency program, including Adam Blanch and Kristina Chan. Catapult Dance is supported by the NSW Department of Education & Training, the University of Newcastle, Creative Arts Network, Harlequin Floors and Ausdance NSW.